Polly Holyoke makes a fantastic splash with her middle-grade debut The Neptune Project! Part dystopian, part sci-fi, and overflowing with adventure, action, and suspense, this middle-grade read kept me captivated for hours.Nere Hanson lives in a grim dystopian future where the Earth has been ravaged by global warming and humans lack of care. Nere has always felt like a freak, with her super pale skin, weak lungs, and telepathic abilities, but she learns that she's special. Nere and her companions were genetically altered to be able to live in the sea, and when the corrupt government finds out what Nere's scientist parents have done, she and the other altered kids must take to the sea and travel hundreds of miles to an underwater safe haven. Guarded by her beloved dolphins, Nere and her companions must face dangers, like sharks and the government divers after them, and fight to survive.The Neptune Project was such a fun, fantastic middle-grade read! Holyoke as crafted a truly original and unique dystopian/sci-world and has done so wonderfully. With superb underwater world-building, an exciting plot, and great characters, The Neptune Project is sure to please readers of all ages.The thrills, chills, and twists are plentiful and the underwater setting makes for an endlessly exciting and unpredictable story. I have one issue with this book, which I'll get out of the way first, and that is the world-building outside of the ocean. Nere obviously lives in a dystopian future where the seas have risen, the air is polluted, the government is corrupt, and important wars have taken place, but I don't feel like we are given enough history or backstory regarding how and why the world has become like it is. We're pretty much plopped right into Nere's world and I would have appreciated a little more information. But that aside, the underwater world-building is superb, and 95% of the book takes place in the ocean, so this world-building is the most important.Holyoke has clearly done her oceanography research and it shows in the realistic underwater world she has created. This ocean landscape is breathtakingly vivid and detailed; every smell, sound, taste, and color jumps off the page. I felt completely immersed in this beautiful, mysterious, and thrillingly dangerous world. This underwater world is full of mesmerizing beauty, wondrous mysteries, and terrifying dangers, and I love that Holyoke doesn't hold anything back when painting this world. This is a world that will simply enchant and enthrall young readers.There's a great diverse group of characters that includes humans and dolphins. Each of the characters brings something worthwhile and interesting to the table and together they create an eclectic, amusing bunch. Nere is a wonderful heroine, full of curiosity, intelligence, bravery, and compassion. I really enjoyed watching her grow throughout the story and become a capable leader. Nere gets a few cute boys to interact with (I'm totally Team Tobin), and the romantic elements are very innocent and appropriate for the book's audience. 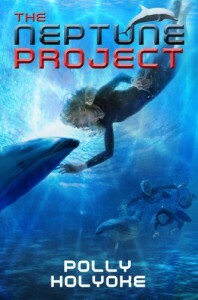 I really loved all the dolphins and how each is given their own personality, and the way they interacted with the altered kids.I was pleasantly surprised to find how intensely suspenseful The Neptune Project is. The action-packed plot, electrifying dangers, and wicked chapter cliffhangers kept me on the edge of my seat and turning pages with gusto until the very end.MY FINAL THOUGHTS: Polly Holyoke had me completely hooked with this excellent midle-grade adventure. The Neptune Project has enough action, scares, romance, and awesome underwater world-building to keep even the pickiest readers entertained. 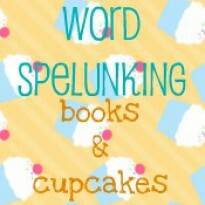 This would make a fantastic summer read for all ages!